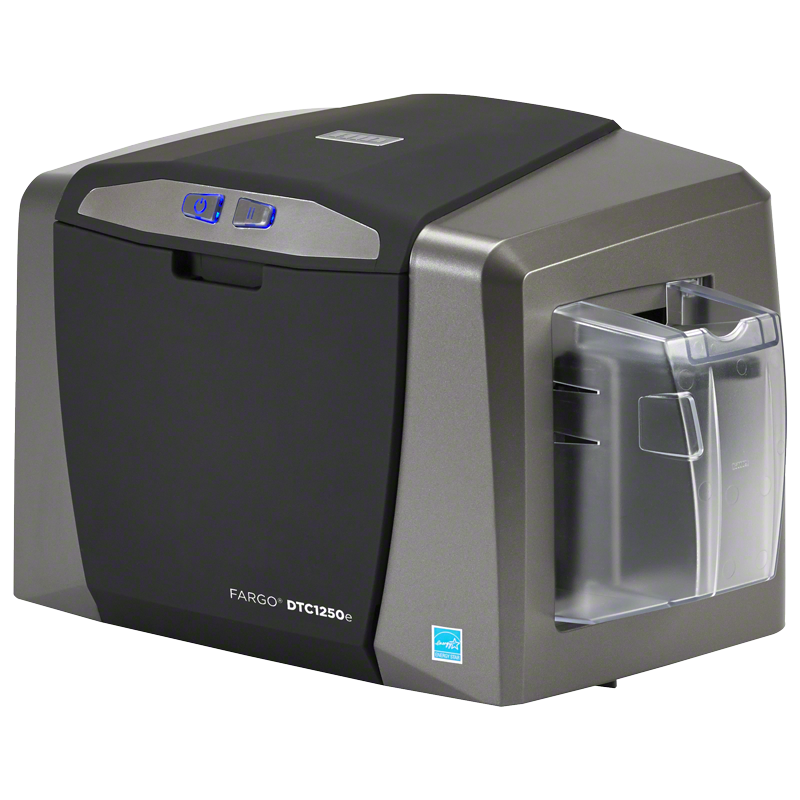 The next generation of enhanced HID Global FARGO® Direct-to-Card (DTC®) printers are easy-to-use, reliable, and more affordable than ever, providing an even greater array of the premium features and premier support that you’ve come to expect from HID Global and Interboro Systems Corporation. 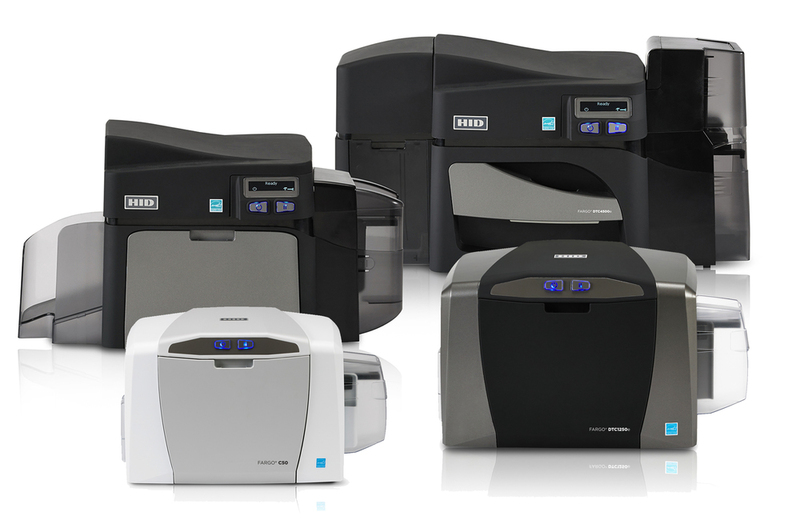 Our wide range of secure issuance products includes everything from plug-and-play, entry-level printers to the industry’s most sophisticated printing and encoding solutions, enabling the highest levels of identity security. Now you can print unbelievably high-quality cards and credentials when you need them, where you need them. FARGO introduced High Definition Printing (HDP) in 1999, and have been advancing the technology ever since. Colors are vibrant. Images are crisp. Quality is second to none. ID Cards Printed on FARGO High Definition Card Printer/Encoders do more than protect your organization — they reflect the value you place on your brand. FARGO HDP printers produces ID cards with the highest image quality available. By printing a reverse image on the underside of HDP Film, then fusing the film to the card surface, the HDP card printer creates an image quality that looks more like a sharp glossy photo than an ordinary ID badge. Printing on film instead of directly on the card means that the uneven surface of technology cards doesn’t compromise image quality. Cards, ribbons and overlaminates literally load in a snap via the cartridge-based system. Sharp image quality and new half-panel ribbons make High Definition Printing even more economical. Fast printing, combined with a dual card input hopper for multiple card types help you fly through the biggest production jobs. HID Global’s EasyLobby Secure Visitor Management (SVM™ ) Software is the primary application for processing a visitor. Using EasyLobby’s Secure Visitor Management software for self-registration with an Apple iPad or tablet computer. HID Global’s EasyLobby® Administrator is a central administration software module. Enables any authorized employee to pre-register visitors using a web-based form. Secure Visitor Management Satellite is used to control and monitor visitor entry and exit at one or more internal locations after registration at a SVM station. Control and manage visitors, vehicles, assets and packages in mobile and remote environments. 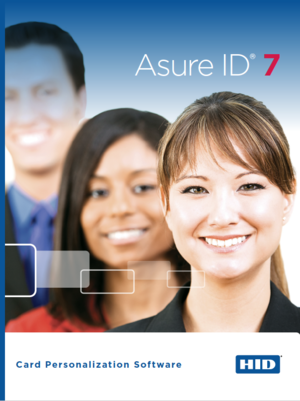 Asure ID 7 changes the paradigm of how ID Card Personalization Software looks, feels and performs. A fresh new user interface and simplified processes make ID card template design and data entry a breeze. Behind the friendly interface, Asure ID 7 is a productivity powerhouse with tools and capabilities to support the most sophisticated ID card applications. Whether you’re new to ID badging or a power user, Asure ID 7 helps you design and produce ID cards and other secure credentials with unprecedented ease and efficiency. Productivity has never looked better. If you’ve used the latest version of Microsoft® Office or Windows® 8, the Asure ID 7 user interface will seem familiar — because it’s based on the Microsoft ribbon. Tab-driven navigation with convenient tools and fly-out control palettes make using Asure ID 7 a real pleasure. What could be easier, or more economical, than teaching someone how to use a new application with an interface they already know? The new Asure ID 7 user interface offers much more than good looks. It provides a dramatic speed boost to designing cards and entering cardholder data. Everything you need to design and populate a card is right in front of you, and routine tasks can be intuitive, fast and efficient. Powerful, stand alone card personalization software. Card personalization for multiple workstations sharing a common database. Interboro Systems Corporation through is local service bureau offers an array of services to design and produce various types of identifications. If you are a small and medium size business that requires identification for employees and contractors, Interboro can help service your need in a short span of time. In addition, if you are interested in a large scale card production for a special project please contact us to verify our different alternatives with our main supplier HID FARGO. An ID composition service with a quality card production that can include holographic security. **Customer must provide the logo. Interboro Systems Corporation offers comprehensive identification card services customized to your company’s needs. ID Cards represent the employee and is the first impression customers have of your Company brand. We offer high quality cards printed on durable PVC plastic to protect the full-color printed information with a professional finish. Interboro Systems Corporation provides high- resolution cards customized to include: logo, photo, required text and employee signature. PVC barcode badges, sticky cards or proximity cards can be provided according your requirements. A Complete service. Large Inventory. Endless Options. Your company may choose to provide Interboro Systems Corporation with digital pictures of all employees on a compact disc, usb drive or via email, in jpg, png or bmp format. Or, Interboro Systems Corporation can manage the photo service at your company site for an additional cost. Interboro Systems Corporation maintains a large stock of ribbons, cards and other supplies on hand, that allows to fulfill clients with and without service contracts in a short time frame. In addition, Interboro regularly stocks spare parts for several card printer models, just in case you confront a service issue in the middle of an important card production run. Interboro Systems Corporation can also assist in ordering pre-printed cards, lanyards and other types of supplies that you may need.